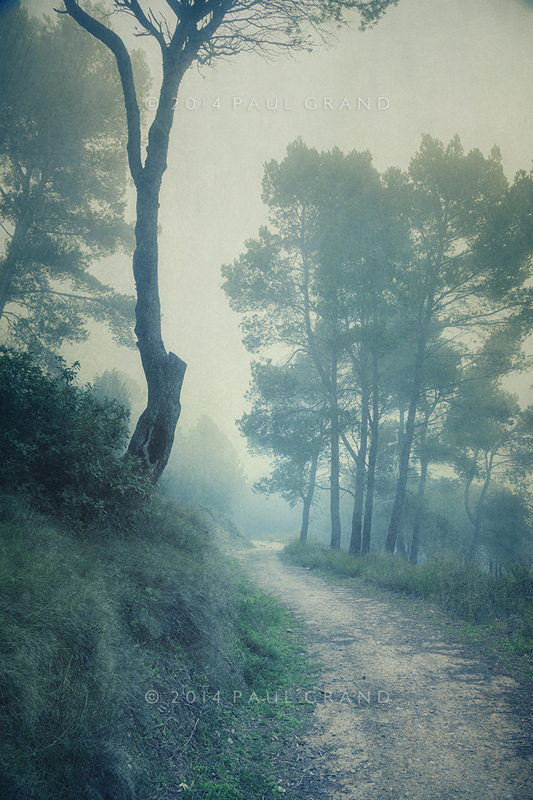 Twisty paths are journeys and this kind of imagery is the perfect metaphor for the interesting twists and turns of a life story and thus make perfect book cover images! Over the Christmas period I’d been casually looking for art old college friends on the net after getting back in touch with ‘Lesley’ last summer – a college friend through a mutual London friend, who is a famous art book writer and style guru Maria Costanitino – it turned out we’d both been in London for many years with the same friend and never come across each other, then I moved to France whilst she’d been in New York for many years. This week we were chatting online and she casually said she wished she’d not lost contact with a another mutual friend that had moved here to France, so afterwords I did a quick google search and found the elusive friend in less than 60 seconds! She’s now a famous French Designer, I recognized her immediately: Amanda, whose mother amazingly – I thought in a five degrees of separation kind of way – went to school with the famous Dudley Moore! Previously after chatting with Lesley, I’d searched and come across another old college friend, Steve – who shoots for Corbis images – this time it was through finding his new photography website; Steve Lupton Photographer. Getting back to my misty twisted path, its an image I shot a few years ago and recently rediscovered, our new Fly Presets inspired me to try texturing it, and also the newly enhanced adobe raw processing program to get rid of the blown-out sky effect, not that it was, as you can see in the base image mouse-over. I started off using our Fly Presets, chose one and then tweaked it, saved it and ran it through another new preset – which will be in our next Fly Preset II set, due out soon! I then textured using our Flypaper Textures Metallic set as in the recipe below. These 4 textures are from the Metallic Pack. This entry was posted on Friday, January 10th, 2014 at 2:32 pm. It is filed under Blog and tagged with Metallic Textures, mist, path, Paul Grand, preset set II, Steve Lupton, trees, Trevillion images, winding. You can follow any responses to this entry through the RSS 2.0 feed.